Los Angeles, or The City of Angels, is probably your dream place. It doesn’t matter who you are. Regardless of the character of people, regardless of who they are, Los Angeles offers something for everyone. It is basically known as the city of rich people. Nevertheless, not so rich people may find their place under the Sun of LA too. Therefore, considering relocation to LA, and not being so rich, is not an invincible obstacle. What you must do before moving to LA is reading this article. Los Angeles moving tips is the text that will help you get to know main problems you might run into during the process of relocation and fitting in Los Angeles. Move to LA and enjoy your life there. After we introduced you to the idea of coming to LA as not so rich man, prepare for difficulties. It is possible to relocate to Los Angeles as an average person. But it is not easy at all! To achieve it, you need to be smart. Making a good and realistic plan is a must! Some would say you need to make a preparation. We say that you must make a preparation, for making the preparation of preparation! Yes, it takes that much! Yes, it is that important. No, we are not joking or exaggerating. That’s just the way it is. But once you made to move to LA, your life becomes as good as it gets! Don’t try moving to LA without a good and realistic plan! It sounds like we are giving you Los Angeles moving tips just by typing with brain-off, doesn’t it? Well, the first tip seems simple. It is. But it is essential! It is true that there are hundreds and thousands of opportunities to succeed in LA. But what also is true, there are many times greater chances that you won’t succeed. Without the good plan on how you intend to make a success of your life, you will be a failure. Read a biography of Anthony Kiedis, RHCP frontman. You will realise what happens when a man stays without a plan in LA. Thinking that everything will work out. He stays with nothing in his hands. And what a big name Anthony Kiedis is! The name and the talent he’s got made him overcome the difficult situation. Are you sure that there are millions of Anthonys? Are you sure you are one of them, even if there are(which, you know, is not true)? The fact is, no matter how good and talented you are, LA will take you down. If you have a good plan, a strong desire to succeed in what you want to become, and a piece of talent- you could get up and show Los Angeles what you are made of. If wondering around without a plan, you shall stay down. Be like Anthony. Prepare to fall down, and rise again in full strength, with the clear plan of what you want of your life with LA moving! Prior to your moving to LA, we suggest you reevaluate your budget. It will be the starting position when you relocate here. It means that you will have the opportunities based on your budget at the beginning. If you have a cousin or a friend in the most populous city in California, it will ease it up for you. Then you don’t need a great amount of money. Of course, if you are able to sleep on the couch, eating sandwiches and depend on others. But besides that, Los Angeles offers terrific things you can do, enjoy and see free of charge! But, if that is not the case, prepare your money stash for at least 6 months of life costs ahead. We’re saying this because you pay for everything when renting in LA. I mean EVERYTHING. The fridge and wash machine are not standard equipment, they are amenities! What you must count in too are the costs of moving to LA. Such as hiring a moving company, paying for the transportation, changing your car registration etc.So fill up your wallet with dollars if you want to be on your own since the start. And moving to LA in search of life or professional goals requires that. If you are moving to Los Angeles in search for better life, you are on the right way. But another Los Angeles moving tips advice is: don’t expect to reach perfection as soon as you arrive in CA. You will probably feel bad if you do. Feeling bad is not something you want when searching for success. You need to be focused. Regardless where you move from, it is the same. It is probably easier to move to LA from another big city. Because you know how some things work. But not two cities are the same. It will be difficult to adjust. It will especially be difficult to adjust the jungle of second largest city in the USA if you are coming from a small city or even village. But everything is solvable. What you need to realise is that you will likely be someone who lives poor or near poor once you move to City of Angels. If you are someone who was realistic, great! This will be a motivation for you! To start from nothing, but in a city with such a great opportunity to succeed in. Many people made their dreams starting from nothing. But they were realistic. In case you are expecting to have a success just because you move to some place, regardless if it was the city with that much opportunities as LA, you will be knocked down at some point. Probably at the beginning. And there are great chances that the first knock-down will end up as a knock-out for you. You don’t go to a battle bear handed. It never ends well. And moving to LA with expectations of immediate success would be exactly that, fighting a war unarmed! After reading these Los Angeles moving tips, don’t despair. This was a sobering story. It wasn’t written to discourage you from coming to LA. On contrary! It is a story that is meant to be a guide for you what to pay attention to, talking about preparations to relocate to LA. I am an expat in Los Angeles. I came here with almost nothing with myself. And I made to reach the decent life here. And a decent life here is probably the best decent life in the world. How did I do it? Did I fall? Yes. Did I experience difficulties? Oh yes! That is why I am writing this story! To show you that you can get up, shake off the dust and shine in Los Angeles! 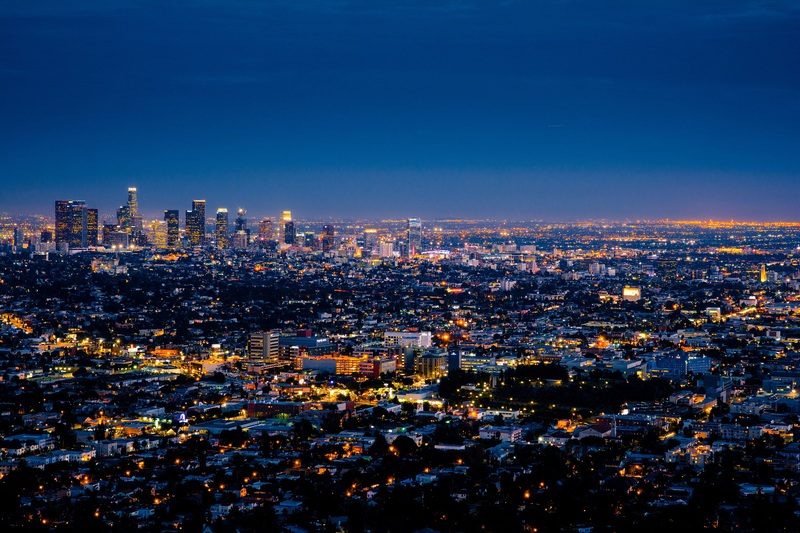 Make a plan about how you plan on succeeding by moving to Los Angeles. Having a good plan is almost everything you need. You need couple more things, but a good plan tops it! If you have no sources of cash, no problem. I didn’t. Just get used to it that you will have not so bright life at the beginning after relocating to Los Angeles. Believe me, it is essential. Getting used to it means moving on toward your goal! Evaluating your expectations is strongly connected to previous two tips. Make sure you can imagine the kind of life that waits for you when you come to LA. After you did all of aforementioned, you only need to do what you came to Los Angeles to do. And another sub tip- get connected when in Los Angeles. It is very important. If you got nobody in this city, it will eat you up! So, first of all, open the doors. Open thousands of them, Once, you will open the golden one. I did. Many before me did. You will too. Just follow these simple but important Los Angeles moving tips I just presented you! 0 responses on "Los Angeles moving tips"